Napoleon Bonaparte was born on the French island of Corsica, on the 15th of August 1769 as Napoleone di Buonaparte, but he changed his name to Napoleon Bonaparte during his 20s. His father, Carlo Buonaparte of Ajaccio, Corsica was an 18-year-old student when he married Marie-Letizia Ramolino, a 14-year-old girl also from Ajaccio. Both Carlo and Maria were descendants of minor Italian nobility and their ancestors were Italian mercenaries in Genoa Bay who settled in Corsica at the beginning of the 16th century. It is assumed that the Buonaparte’s were originally from Tuscany. Napoleon did not receive any formal education until he was nine when he attended school and managed to obtain a place at the military college at Brienne thanks to his protector Comte de Marbeuf who was the governor of Corsica, and a family friend of Bonaparte’s. After the military academy at Brienne, Napoleon went into the École Militaire in Paris, graduating in 1785. Soon after that he became a second lieutenant in the French army. During the French Revolution in 1789 he joined the Jacobins, a radical group of revolutionaries. He was promoted to brigadier general in 1793 following his successful command of artillery at the siege of the British garrison at Toulon. 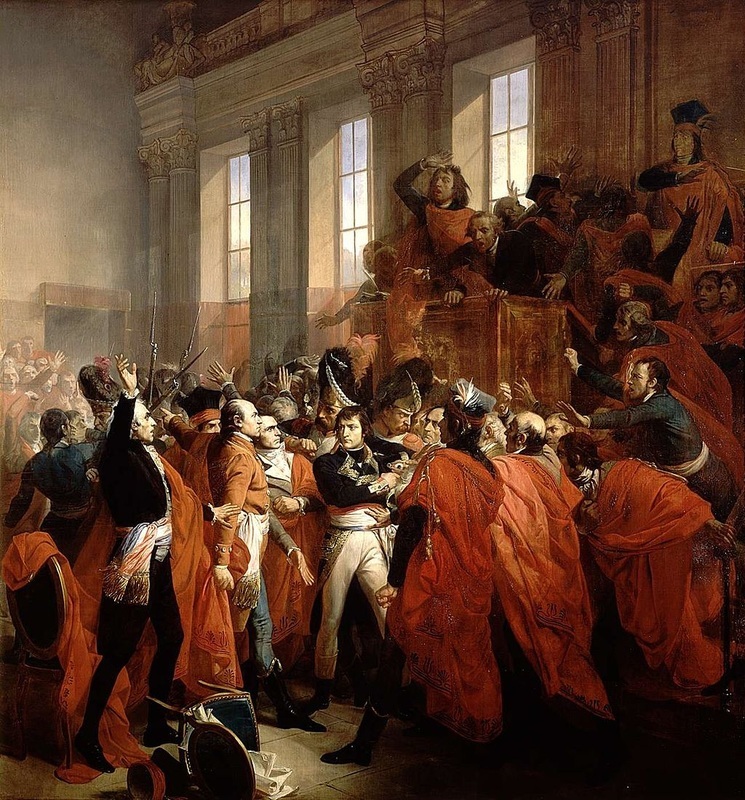 On the 5th of October 1795, Napoleon put down a rebellion by royalist forces which led to his promotion to the commander of the Army of the Interior and just one year after that to the commander of the French army of Italy. Napoleon's troops captured extensive territory in Italy, and he called on the Italian people to recognize him as their new leader. In May 1796, he forced Sardinia to sign a peace treaty, then turned to the war against the Austrians. He managed to beat the Austrians at Rivoli which led to the truce and the Treaty of Campo Formio in 1797. 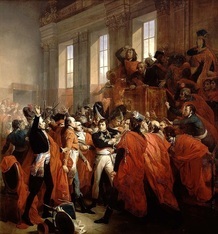 The Italian campaign and military success over Italian and Austrian army provided Napoleon a great reputation among his fellow soldiers and the people of France. Also in 1796, Napoleon, who was 26 years old at the time, married Josephine de Beauharnais a 32-year-old widow with two teenage children of her own. The marriage lasted until 1809 when he divorced her because she had not produced any children for him to have an heir. 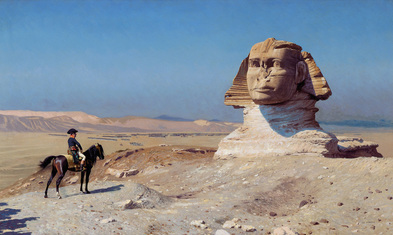 Next, he led a series of battles against Egypt which was British possession at the time. He won several battles in Egypt, but British admiral Horatio Nelson destroyed his fleet at the Battle of the Nile. Despite the loss of the fleet, he returned to France a national hero. At the time the Directory (the five-member council that was running France) was overseeing the end stages of the French Revolution. Inspired by supporters in Paris, Napoleon led an overthrow of the Directory and helped establish the French Consulate in its place. 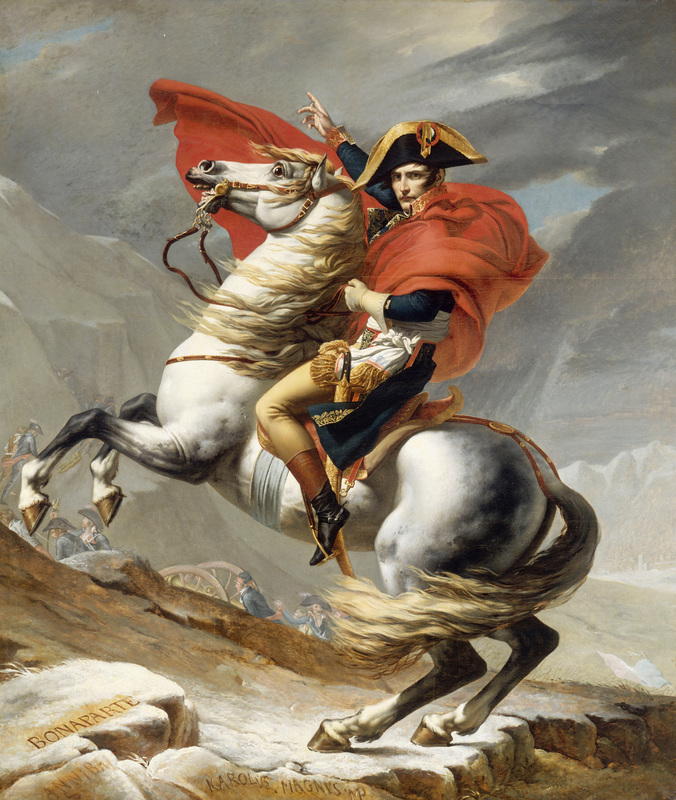 Napoleon became the first consul and his rule over France began. Immediately after coming to power, Napoleon launched a military campaign against members of the Second Coalition (Austria, Great Britain, Naples, the Ottoman Empire, Portugal, and Russia). Napoleon destroyed the Austrians at Marengo in 1800. The Austrians suffered a huge loss in soldiers and were forced out of Italy. As a result, the Treaty of Lunéville was signed in 1801, which set the Rhine River as France’s new eastern border. 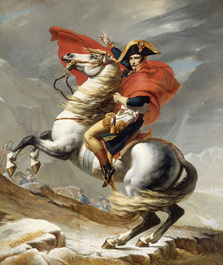 As well, the victory strengthened Napoleon’s stance in France politically and with the people of the country. He became the Emperor of France in 1804 and in 1805 he declared himself the king of Italy. For the next decade, Napoleon undertook several major conflicts known today as the Napoleonic Wars. These conflicts, saw France faceoff against several European powers as Napoleon sought to expand France’s territory in the continent. As well, he introduced many significant reforms into French society as he stabilized the country following the excesses of the French Revolution. For example, he introduced the Napoleonic Code in 1804 which was a civil code of laws. The Napoleonic Code reformed the countries laws and introduced the idea of rule of law. French forces moved eastward into Austria and in 1805, Napoleon encircled the Austrian army and forced General Karl Mack to surrender. He occupied Vienna, and at Austerlitz in 1805 he won a great victory over Austrian and Russian soldiers, which many historians consider to be Napoleon’s greatest military achievment. Austria was forced to sign the Treaty of Pressburg and leave the Third Coalition. Next, Napoleon’s forces marched into Berlin and he won another victory at Friedland in 1807 against Russia. By the Treaties of Tilsit in 1807 half of Prussia’s territory was given to the France and Napoleon had the power over major part of continental Europe. In 1810, after divorcing his first wife Josephine, Napoleon married Marie Louise, the 19-year old Archduchess of Austria. The couple had one child, Napoleon Francis Joseph Charles, who was born in 1811. 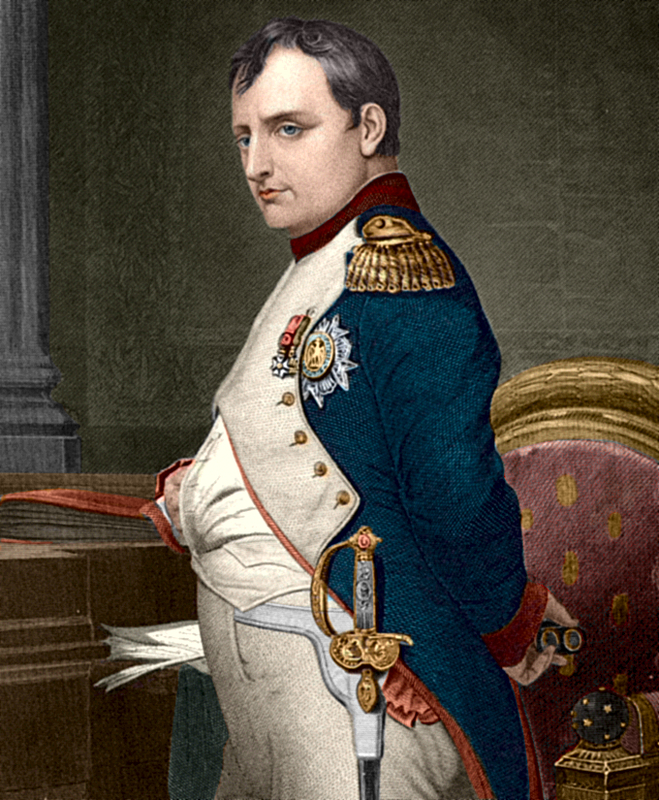 At his birth, Napoleon gave him the title of the King of Rome. 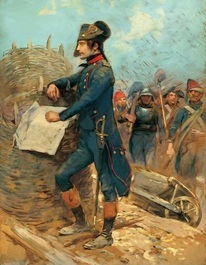 The first signs of Napoleon’s decline began in the Peninsular War (1808–1814). This war saw British forces team up with both Spanish and Portuguese forces to push France off of the Iberian Peninsula. This was a major loss for Napoleon and was made worse by the catastrophic loss he was also experiencing in Russia. Napoleon's army was 500,000 men strong when he invaded Russia in 1812. French troops moved quickly into Russia, forcing Russian General Mikhail Kutuzov to rapidly withdraw deep into the country. At Borodino, a small village west of Moscow, a battle was held with great losses on both sides. Kutuzov withdrew further, and Napoleon entered Moscow on the 14th of September 1812. To the shock of the French, the city was nearly abandoned and had been burned by the Russians. Russian citizens burned the city in order to not allow Napoleon’s troops to resupply. 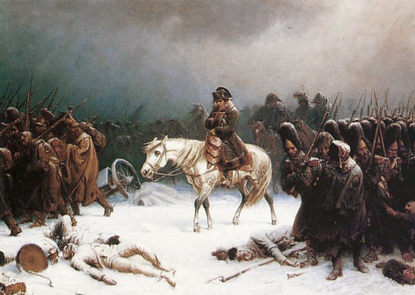 The lack of supplies and freezing cold of the Russian winter eventually forced Napoleon to order his forces to retreat. As they did, the Russian forces repeatedly attacked the French troops and by the time Napoleon and his army left Russia he had less than 100,000 soldiers remaining. This was a major loss that Napoleon would be unable to recover from. After his forces retreated from Russia, the Fourth Coalition against France was made. At the Battle of Leipzig, the Fourth Coalition won, and French troops were forced to return to France. Napoleon refused peace, and Coalition troops marched into Paris on the 11th of April in 1814. 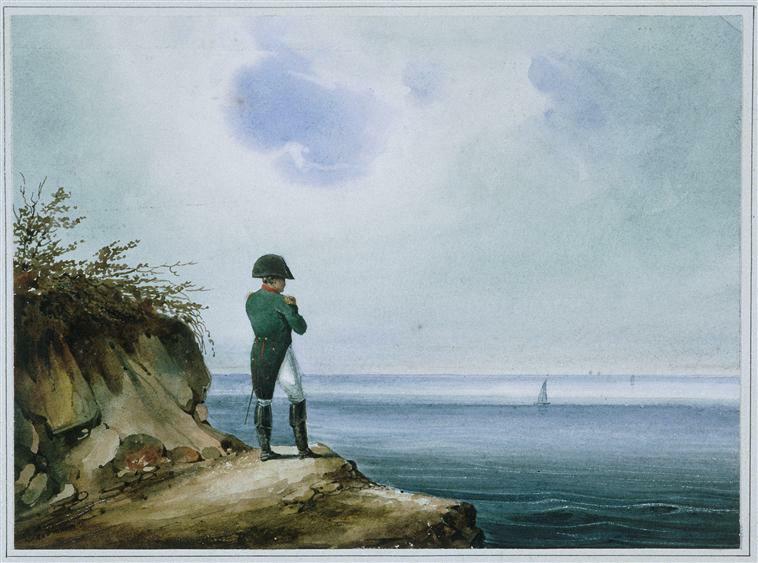 Napoleon abdicated and went in to exile on the island of Elba off the coast of Italy. While the Congress of Vienna was establishing the borders of Europe, Napoleon escaped from Elba, landed at Cannes, and proceeded to Paris. He entered the city on the 20th of March 1815 and thus began a period of rule known as "The Hundred Days" which saw him try to regain his position in France. Once again European armies were sent against Napoleon and he was famously defeated at the Battle of Waterloo. This time he was banished to the island of Saint Helena, a British controlled island in the south of the Atlantic Ocean. He died there on May 5th in 1821. His remains were eventually brought to France in 1840 where they remain today.